Most days the Daily Mail newspaper warns about social apocalypse. It has now predicted the end for Peterborough. According to the Daily Mail, this previous English paradise is being destroyed by the arrival of East European immigrants. The Daily Mail is proud of the reactionary blinkers it wears but it must have muck in its eyes not to have noticed that the population of Peterborough increased by 45% in the years between 1971 and 1991. Nobody complained then. The City should cope with the arrival of immigrants looking for work. In the 19th Century the City also expanded. Railways and brick manufacturing provided jobs. Locals insist that Charles Dickens visited the Peterborough Workhouse in 1837 and met the Peterborough Beadle. Later he remembered both in Oliver Twist. Peterborough is near the marshes of Fenland. They feature in the classic Graham Swift novel Waterland. The book emphasises how history affects the present. On a wet day the low level land reeks with mystery and evokes an invisible past. Not everyone wants inexplicable atmosphere. The site Flag Fen is perhaps overdone but visitors will have no excuse for not understanding life in the Bronze Age. The site also exists as a causeway across the Fens. The simple walk should stimulate any imagination. 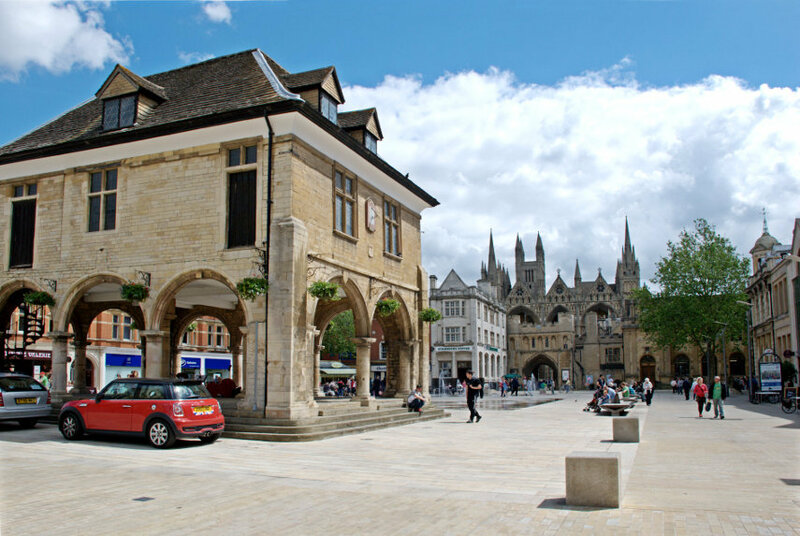 There are plenty of history tours and events in Peterborough. This weekend the historian Juliet Barber is talking in the local library about the Peasants Revolt of 1381. Nobody expects a Daily Mail journalist to attend. Hereward the Wake returned from exile to rampage through Peterborough in 1069. Prior to exile Hereward had been a tenant of Peterborough Abbey. After burning the town Hereward retreated to the Fens to smell the damp and contemplate the mist. The E2 walking route across Europe includes the Hereward Way across the Fens. 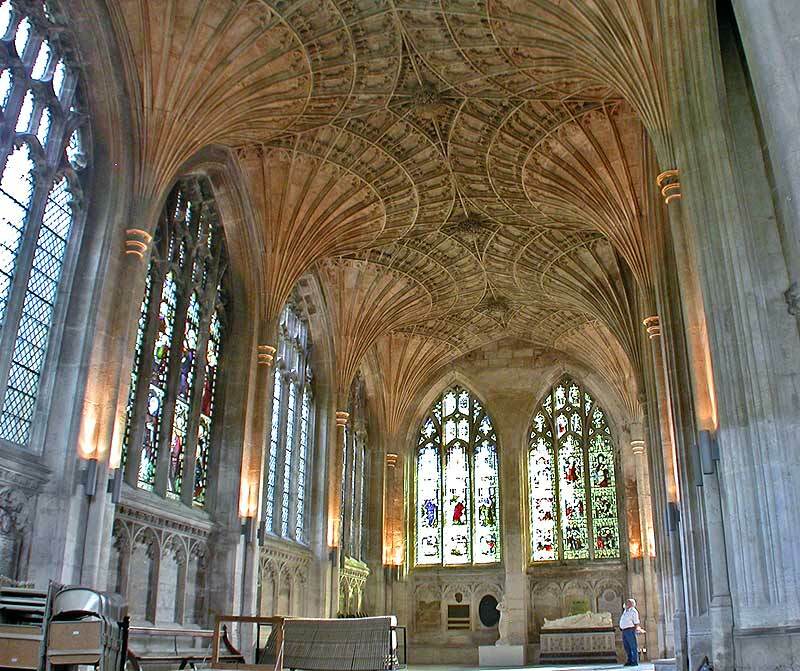 Before the Abbey the Anglo Saxons established a monastery in Peterborough. It is the impressive gothic Cathedral that defines the City Centre today. The Cathedral is more impressive than the recent £1bn refurbishment. On my last visit to the City I escaped a bland English winter afternoon by retreating inside the Cathedral to watch a choir work hard to rehearse Christmas Carols. Mornings in Peterborough, though, should begin at the splendid Ferrari’s Café. The English breakfast made me envy truck drivers. The local economy is regarded as successful but the exceptional growth of the 70s and 80s has steadied. Wages are below the national average, and employment levels, although good, are not exceptional. Festivals are encouraged, and CAMRA has an annual event in Peterborough. But there are better ways to drink beer in Peterborough. The local theatre has an uninspired programme. The highlights are screenings of performances from elsewhere. The football team Peterborough United has had a complicated history. The modern version was formed in the Angel Hotel in 1934. Since then it has mixed modest ambition and splendid overachievement. In 1964 it reached the quarter-finals of the FA Cup. One year later 30,000 people watched the fifth round tie between Peterborough and Swindon. The team has a nickname, the Posh. This appears to be the consequence of a chance remark and nothing to do with Daily Mail indignation. Next week, not Arizona but Prescot, Merseyside. Posted in CAMRA, Charles Dickens, Daily Mail, E2 walk, Ferrari's Cafe, Flag Fen, Graham Swift, Hereward The Wake, Juliet Barber, Oliver Twist, Peterborough, Peterborough Cathedral, Peterborough United, Waterland and tagged Culture, tourism, travel, UK history, uk travel on September 19, 2015 by Howard Jackson.